Did you have a lovely Easter....and eat lots of Easter eggs? I did and have a real chocolate hangover right now! I have decided to eat less and exercise more this week, which will be hard to do as I love to just sit and colour. 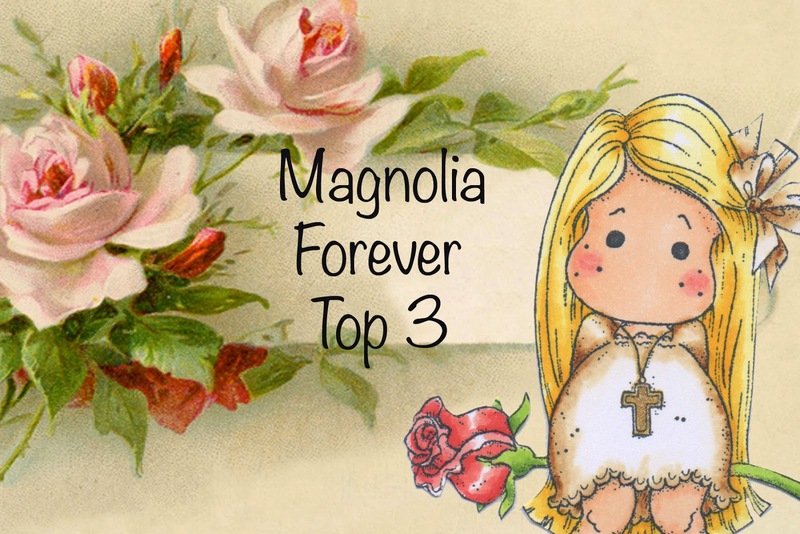 This is one of the new Magnolia stamps, Celebration Tilda. Papers are Maja "Nyhavn", cut with Go Kreate dies and dosed with some added gesso and stitching. 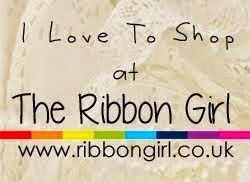 This daisy lace can be found at The Ribbon girl. I mixed it with some blue gingham eyelet lace from my craft box. My dies are a mix of Joy Craft, Marianne and Memory Box. The bow and tag are Doo Hickey dies from Magnolia. Tiny heart shaped gems and Tiara Stickles decorate her hair. I really like this stamp and it is one that will be useful for many occasions. Thank you for dropping by and a big hug for my followers. This is beautiful Christine. 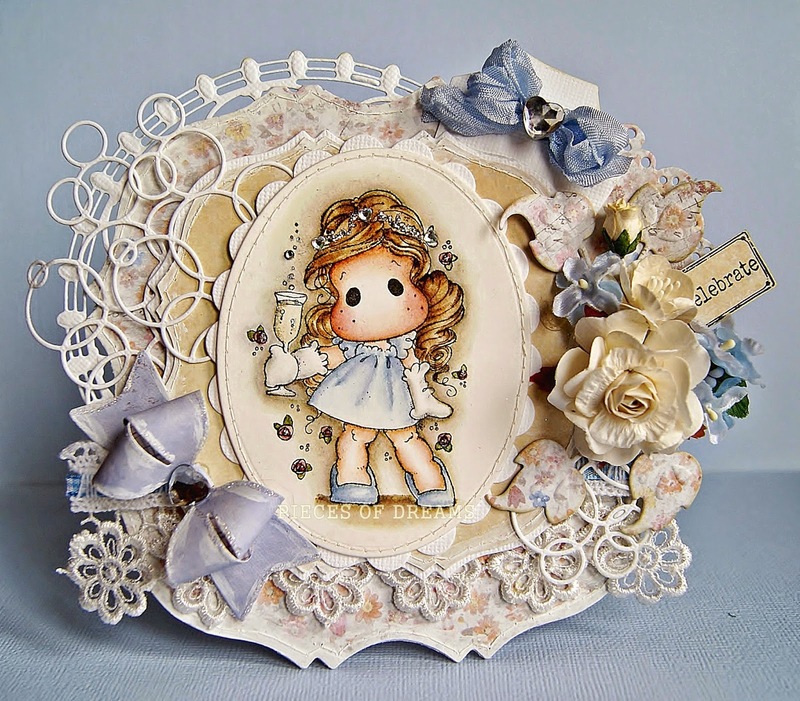 The image is adorable and love all the gorgeous layers and embellishments. Stunning card !! Tilda is beautiful and I love all the layers !! OH MY WOW!! I LOVE your work!!! Gorgeous!!! 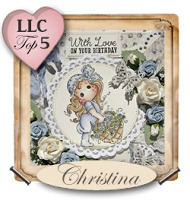 Gorgeous card Chrisdtina, thanks for sharing at Simply Magnolia. What a beautiful card love Tilda!! Thank you for joining us at TFMC. 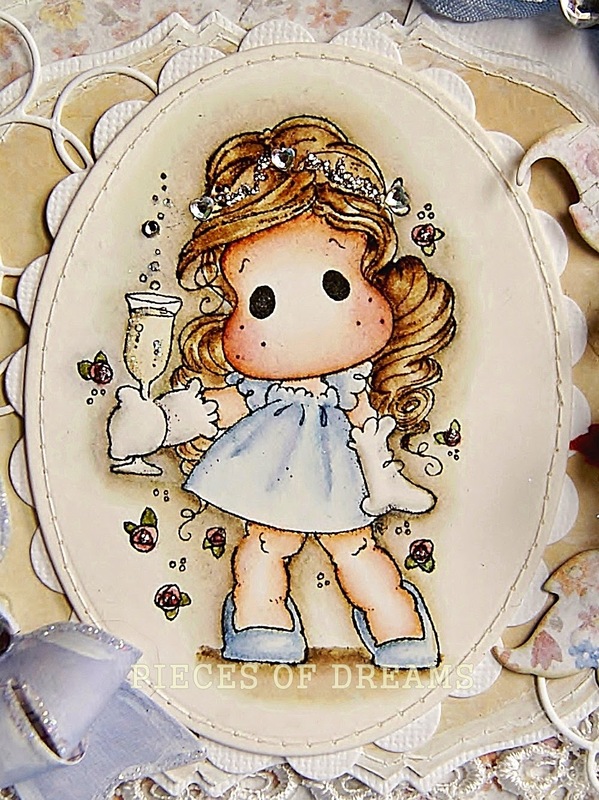 Very beautiful card!! Thanks for joining us at TFMC. 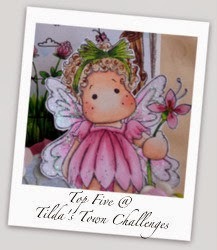 Fantastic card.... hope you will enter our DT call!!! 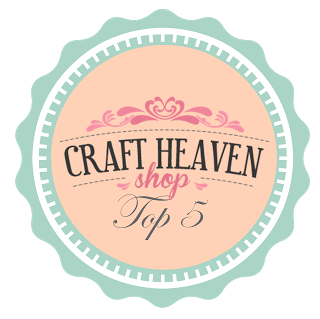 Theres just a few days left to enter!